Are you a fanatic athlete who wants to be challenged every day to push your performance to the next level? Then the DHT175i is the perfect exercise bike for you. 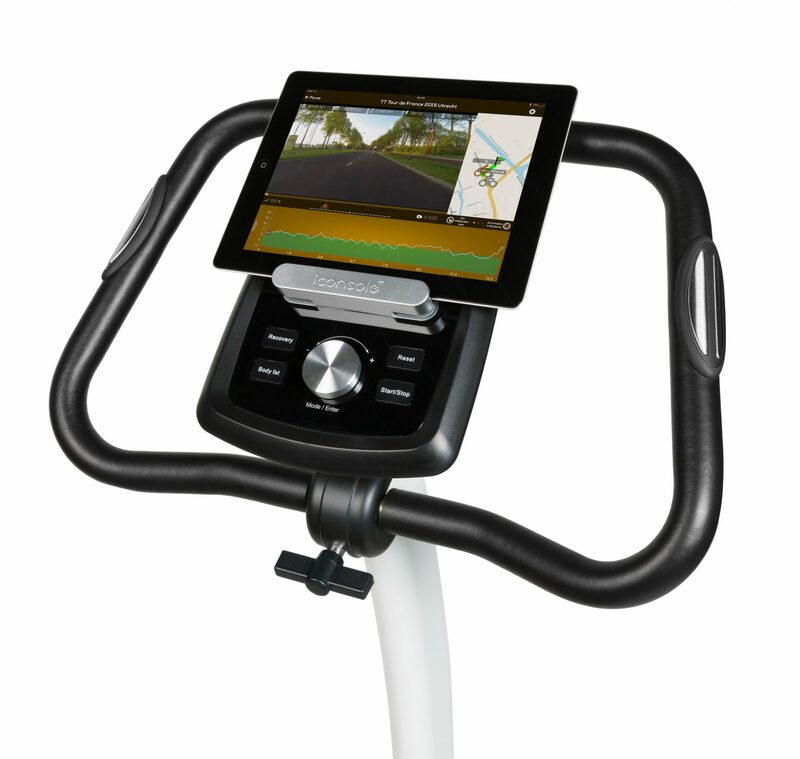 This very stable bike offers numerous options with no less than 24 workout programs. But even more fun is pairing the DHT175i via Bluetooth with your smartphone or tablet and experiencing the outdoors indoors. You can use free apps such as Kinomap, Fit Hi Way, iConsole+ and iRoute and turn your workout into a true experience. Cycle along the most beautiful places in the world, challenge others, compare your previous workouts to see your progress. Cycling in your own environment was never this much fun! Because the DHT175i is equipped with transport wheels, it can easily be rolled away for storage after a workout. The magnetic resistance system offers a wide range of 32 levels, from no resistance for cardio workouts to very heavy resistance for strength workouts. 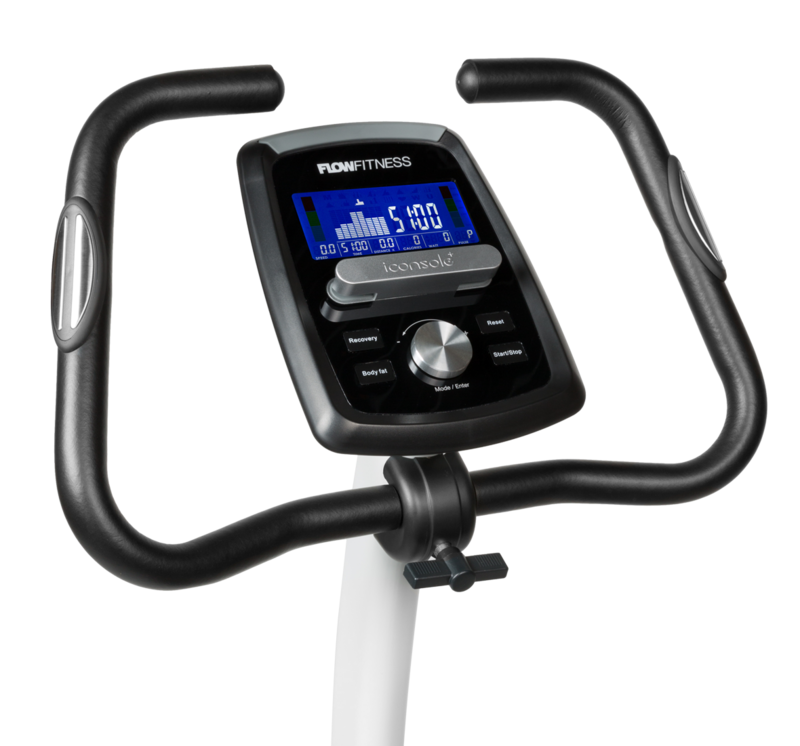 Because this exercise bike includes a Bluetooth receiver, it is easy to pair it with your tablet or smartphone (one-time set-up). Various free apps can be downloaded, with which you can considerably expand your options. The handlebar can be held in various ways, facilitating both an active position and ergonomic posture. It also includes two handy heart-rate sensors that register your heart rate during your workout. Using a Flow Fitness chest belt is also possible, but this items is not included with purchase. Nothing is more frustrating than first having to figure out how the console of a piece of fitness equipment works before you can start your workout. For the DHT175i: simplicity is key. With the unique Smart Wheel, you can easily go through the menu and confirm your selection with the simple click of a button. With Bluetooth, you can pair the DHT175i with your smartphone and tablet. The mobile device becomes your console, and you can freely use apps such as Kinomap, Fit Hi Way, iConsole+ and iRoute.